Some bands come alive in the live environment. I Am Kloot are one of the prime examples of that, the spontaneity of performance, the electric connection between the three original members of the band and their audience and a set of songs that come alive in dark rooms. They've finally got round, fifteen years into their career, to releasing a live album, Hold Back The Night, recorded during a series of shows back in 2013. 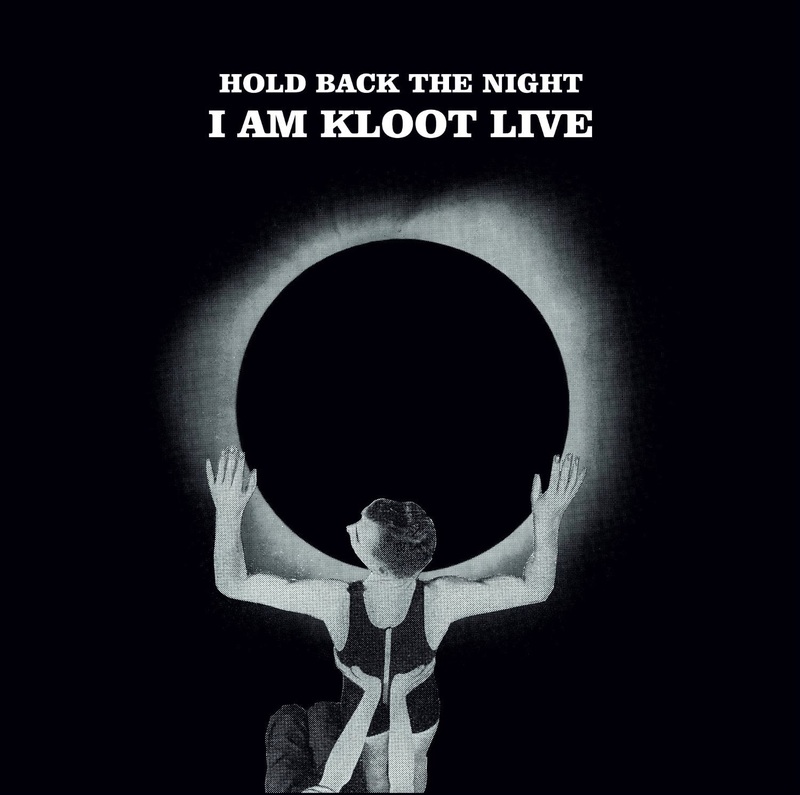 Hold Back The Night covers material from each of I Am Kloot's albums, effectively making it an unofficial greatest hits album as well as capturing their live show, which they acknowledge is where they are at their best. Other bands might get more recognition, be more willing to do what it takes to be successful and have tracks that are more immediate and radio-friendly (although it is surely some mistake that people didn't pick up on the likes of From Your Favourite Sky, Dark Star and One Man Brawl), but I Am Kloot are a unique beast, fiery, combustible, unpredictable, but ultimately worth the emotional investment you make to get their music. Whilst the tracks that come from early in their career are performed as a three-piece, the more extravagant expanded sound that marked their last two studio albums Sky At Night and the top-ten Let It All In sees them augmented by additional guitar, trumpet, piano, saxophone and backing vocals to capture the more widescreen sound of those records. At its rawest, it demonstrates the sheer power that three friends can generate armed with just musical instruments and a voice. Andy Hargreaves' drums, whether it be softly brushed cymbals or the hard kick of the bass drum, provide the framework around which the songs are built and Pete Jobson's effects pedal creates sounds you'd never think could come from a bass guitar. Then you have John Bramwell, mercurial, engaging and the creator and raconteur of these tales which centre around the themes of drinking and disaster. What we get therefore is the schizophrenic tale of a long night out that is 86 TVs, the dark brooding unsettling tales of romantic encounters that are Because and Twist, a thrilling counterbalance to the light and shade of the likes of Northern Skies and I Still Do and the theatrical drama of Lately and Radiation that got them the Mercury Music Prize nomination for the Sky At Night and the chart-friendly Some Better Day and These Days Are Mine from their Top 10 album Let It All In. It showcases all elements to Kloot's rise from the Manchester bar scene and various incarnations of bands and solo monickers. At twenty-six tracks (there's twenty on the cd and vinyl plus a download card for a further six), it's an incredibly comprehensive piece of work that will appeal to both new fans and those who've been craving for an official release of their live show. Given that they've reverted back to a three-piece for their current tour and weighted their set towards their earlier material accordingly and in interviews have talked about a new more inclusive song-writing process (as evidenced on last year's From There To Here soundtrack album), it may also be a bookmark and for some of these songs an end as they progress. For now though, Hold Back The Night is a perfect introduction to I Am Kloot for those not familiar with their work and a welcome reminder of their greatness for those who are.